Clark Seif Clark (CSC) provides testing and consulting services to protect workers and the public from all types of toxic heavy metals. 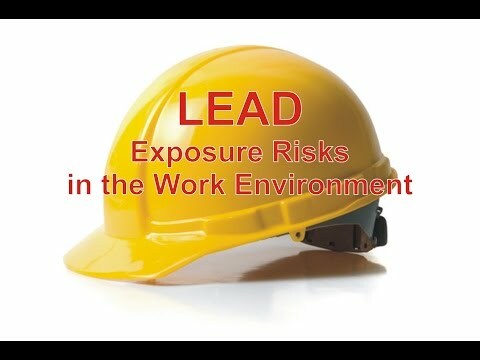 Occupational exposure to potential lead hazards is still a significant concern for workers in so many industries. This year has been filled with media reports about lead poisoning hazards faced by the public. Stories have been broadcast about contaminated water in Michigan homes, drinking fountains being shut down in schools in the Northwest and East Coast, and most recently, over 1,000 residents of a housing complex in East Chicago being asked to relocate due to high levels of lead in the soil around their homes. While there are many lead hazards that still exist in people’s homes and schools, some work environment can also expose workers to dangerous levels of lead. Lead is a toxic heavy metal that can be combined with other metals to produce alloys. Lead and lead alloys are often used to make batteries, ammunition and other metal products. In the past, lead was also used regularly in fuel, paint, ceramics, caulk, pipes and solder among other things. Although used less often, the National Institute for Occupational Safety and Health (NIOSH) reports that lead is still common in many industries, including construction, mining and manufacturing. In these and other industries, workers can be at risk of being exposed to lead by breathing it, ingesting it or coming in contact with it.